The BFI are delighted to welcome Duncan Jones to the BFI Southbank stage to take part in a Q&A session after a screening of Moon. Inspired by the epic, philosophical science fiction classics of the 70s and early 80s, such as Silent Running, Blade Runner, Alien and Outland, Moon is an assured debut feature from Jones, who has previously made an impact with work for advertising and music promo. In the near future, Sam Bell (Rockwell) is nearing the end of a three year contract and counting the days until his return to Earth. 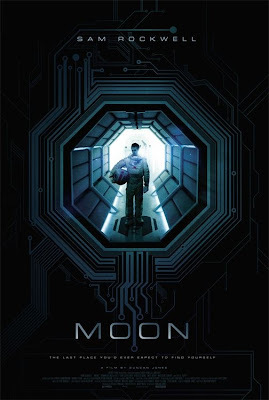 The lone occupant of a lunar mining base, Bell monitors the tractors that harvest the moon's surface for helium energy, but he is beginning to unravel mentally. Moon is a refreshingly philosophical and ultimately touching film in which Jones and writer Nathan Parker create an insightful character piece about memory and identity.